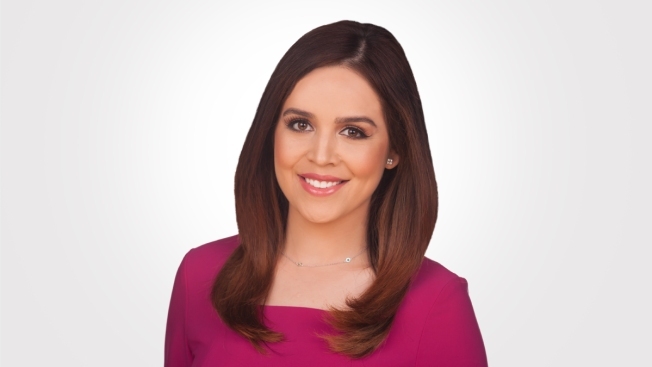 Vianey Arana joined NBC Bay Area weather in September 2016 as weekend morning weather anchor. She also regularly reports from the field on big weather or community stories. You can also catch Vianey during our weekday newscasts when she fills in. Vianey joined NBC Bay Area from NBC KTSM in El Paso Texas where she worked as reporter, news and weather anchor. During her time there she served as main anchor for affiliate station KVEO's 5 p.m. and 10 p.m. newscasts. Vianey started her career back East at Noticias Univision in Boston. There she honed her skills as weather anchor and entertainment reporter. Vianey also spent some time reporting for various entertainment/news outlets in Los Angeles. As an intern she had the opportunity to host her own segments on health/hair/beauty tips on Viva el 22 MUNDO FOX. Vianey was born in the lively scenic countryside of Jalisco, Mexico and although she came here at a very young age, her family has maintained its rich Hispanic culture and tradition. Her parents have always stressed the importance of keeping the Spanish language alive in the family. Vianey is a proud graduate of Cal State University at Northridge with a Bachelor's degree in Broadcast Journalism. When she's not working, Vianey is looking for her next adrenaline rush whether it’s taking on a new project, hiking a rocky mountain or volunteering in her community.